The Association of Railway Executives (ARE) was established for senior people within the rail industry to meet and network with one another. 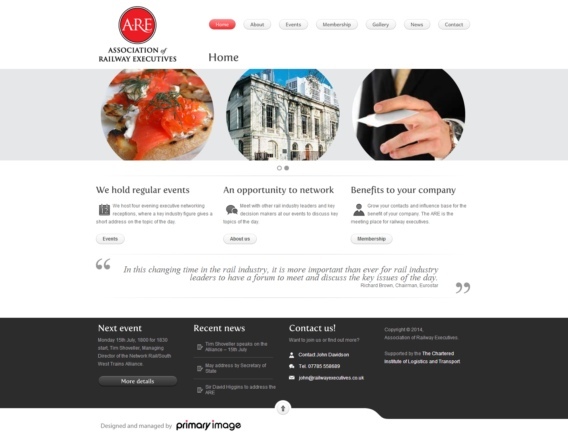 The organisation asked Primary Image to create a professional-looking website for their launch, which took place at a drinks reception at Trinity House, in Tower Hill, London. Primary Image also supported the organisation’s marketing in an advisory role. We created this website using the WordPress editing platform, so the ARE could update their content themselves, including adding event listings. The home page also included a slideshow box to create a “feel” for their events by using some key imagery. The website carried this same design for seven years, until it was closed in January 2018, as part of its merger with the Chartered Institute of Logistics and Transport (CILT). 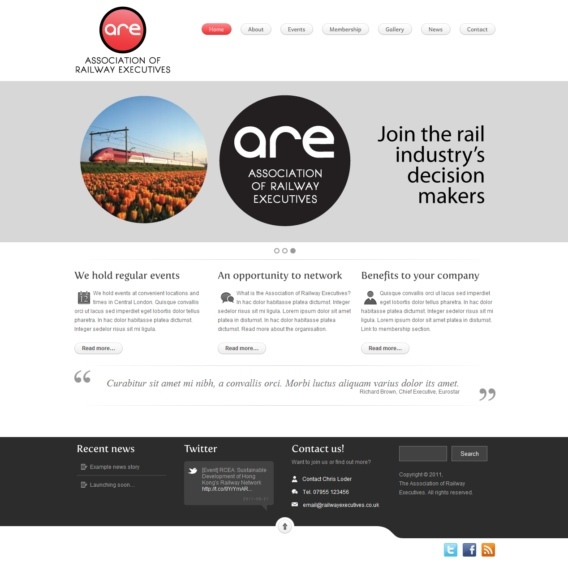 Also see the branding concept we designed for the ARE during the design phase.